There are many vacation destinations to choose from in Florida, and checking out pictures of theme parks in Orlando will clearly show why central Florida is considered one of the world's best amusement park playgrounds. With multiple parks offering unique themes and attractions for all ages, there is something for everyone in Orlando. The Magic Kingdom is part of Walt Disney World, and Cinderella's Castle is the focal point of the park with its classic spires, powder blue and gold trim, and landscaped moat. Parades, fireworks shows, and other special shows often take place near the castle. This mine train themed roller coaster at the Magic Kingdom is fun for the whole family. Unique details such as a gold mine tunnel, dinosaur skeletons, and fake disastrous track detours make the entire ride entertaining. Space Mountain is a classic part of Tomorrowland at the Magic Kingdom. A twin coaster, this indoor themed ride has been operating since 1975 and has thrilled millions of park guests each year. Epcot Center is the most futuristic of Disney's Orlando theme parks. The geodesic dome that is the park's most recognizable landmark is home to the Spaceship Earth ride, and the park also features dozens of cultural exhibits representing nations throughout the world, the Test Track thrill ride, and Mission: Space. The Hollywood Hotel Tower of Terror ride is one of the most popular thrill attractions at Disney's MGM Studios. Riders are treated to eerie special effects and spooky theming throughout this ride before they are dropped multiple times in a simulated elevator failure. The Shamu Stadium at Sea World hosts multiple fun and educational shows each day at this marine life theme park. Other park attractions include the sea monster Kraken roller coaster and opportunities to feed dolphins, sharks, stingrays, and other animals. The nostalgic Old Town Kissimmee amusement park and outdoor mall is located just a few miles from Walt Disney World. The Windstorm roller coaster is one of the park's most thrilling rides, but there are also smaller rides suitable for all ages, as well as kitschy shops and regular classic car shows. Guests will literally "ride the movies" when they visit Universal Studios. Popular attractions include the Studio Tour, the Simpsons Ride, the Revenge of the Mummy roller coaster, Jaws, and E.T. Adventure, as well as numerous character appearances throughout the park. 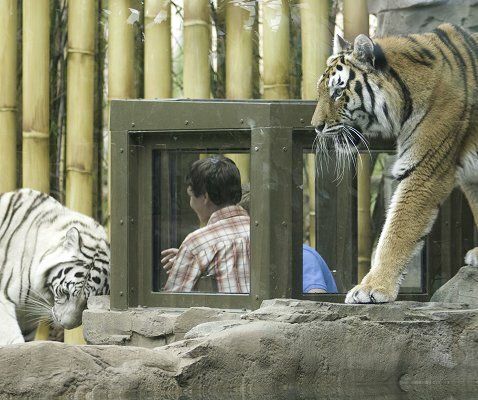 The innovative theme park zoo Animal Kingdom features dozens of animal species and includes a focus on both extinct and mythological species as well. The Tree of Life is a focal point of the park with its 325 carved animals on the massive trunk. Guests can get up close and personal with Atlantic bottlenose dolphins at Discovery Cove, where they can pet, feed, and interact with these amazing creatures. Ray Lagoon, tropical snorkeling, and an exotic bird aviary are other attractions at this Busch theme park. Guests are welcomed to this theme park by the iconic lighthouse that guards the park entrance. Once inside, guests can pick from a number of themed "islands" including Jurassic Park, Marvel Superhero Island, Toon Lagoon, and the Wizarding World of Harry Potter. The Incredible Hulk roller coaster at Islands of Adventure is one of the most highly rated coasters in the state. From a rapid launch along a tunnel, riders are thrust into a twisted track with seven inversions, a tunnel dive, and other thrilling elements. The Dueling Dragons inverted roller coasters, Fire and Ice, are among the most popular attractions at Islands of Adventure. Both coasters include five inversions and three near collision points as the two themed dragons battle over the park. Park guests young and old will love Seuss Landing at Islands of Adventure. Colorful characters, imaginative landscaping, and fantastically themed rides bring the classic world of Dr. Seuss alive for everyone to experience.